The work of the holidays is done and over. Santa is back at the North Pole getting ready for his round the globe trek next Christmas Eve. Not only is working to create new toys he’s also working on himself. He has a lot of calories to burn off from this past Christmas! In a twenty-four hour period he ate millions of cookies and drank gallon upon gallon of milk, eggnog, and hot chocolate. 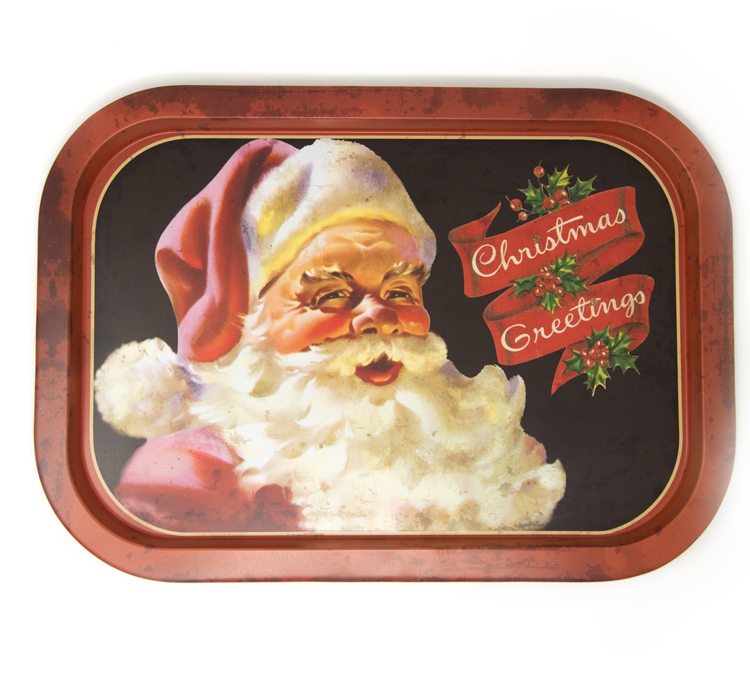 In light of this I’m placing our Santa tray on sale for you to put into hiding until next Christmas. After all we want Santa to be in tip top shape by then. The tray is regularly $13.29. Now, you can get it for $11.99!